Cleaning your baby's diaper area with a dry piece of fabric is not exactly the way you want to go about doing things during a diaper change. You need to wet the wipe with something that is gentle enough for your baby's skin, but still gets the job done. A wipe solution is exactly the answer. Water is a very crucial ingredient because you don't want to leave your baby's diaper area super oily. Imagine if you walked around with straight vegetable oil on your face. It wouldn't be very pleasant. It's important that the water is distilled or filtered so that bacteria doesn't grow inside the bottle. When picking an oil, make sure it does not have petroleum in the ingredients whatsoever. Petroleum will ruin your cloth diapers, including if you put it on your baby's diaper area. Coconut oil, almond oil, or even witch hazel are good options to use. Soap is necessary to clean you baby's diaper area. Find an all natural option, like Young Living's Seedlings line. This is a great soap to use in your wipe solution and it smells wonderful. To get your own bottle of Seedlings baby soap, click here. Essential oils are completely optional. You don't have to use them if you don't want to. The major thing I want to mention with using essential oils is please make sure you are using the correct dilution. What your skin can handle and what your baby's skin can are two completely different things. Remember: less is more. Like with the paper towels and cloth wipes, you can store your solution in a variety of different ways. If you gave birth vaginally, some women have recycled the spray bottle given to clean your lady bits as a storage container. Others use a spray bottle, both larger ones for the changing station and smaller ones for the diaper bag. 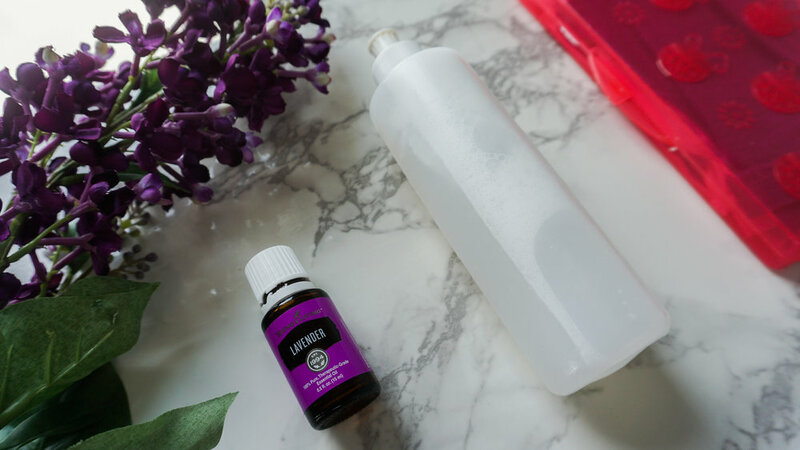 If you have essential oils in your solution, you will need to use glass bottles. Essential oils break down plastics, but are totally safe in glass. There is nothing extra you have to do to take care of your wipe solution. Remake it as often as you need. I've seen some families make bulk amounts of their solution so it's easier to refill when they've got busy little ones. Disposable wipes are one less thing going in your trash can and in your shopping cart at the store. This can easily save you some money each month while keeping only natural products in your home for your little one's body.